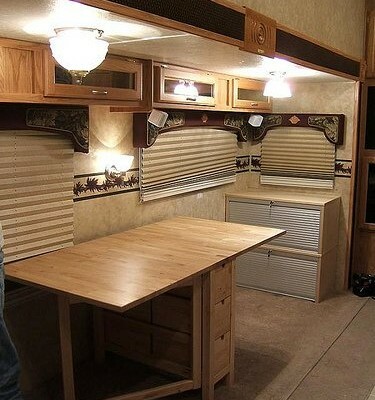 Camping and RV Checklists are the best way to stay organized for road trips. 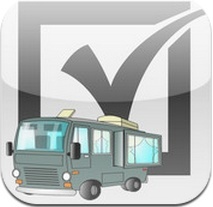 A Directory of the best RV checklists available. From Word DOC, PDF, Excel. 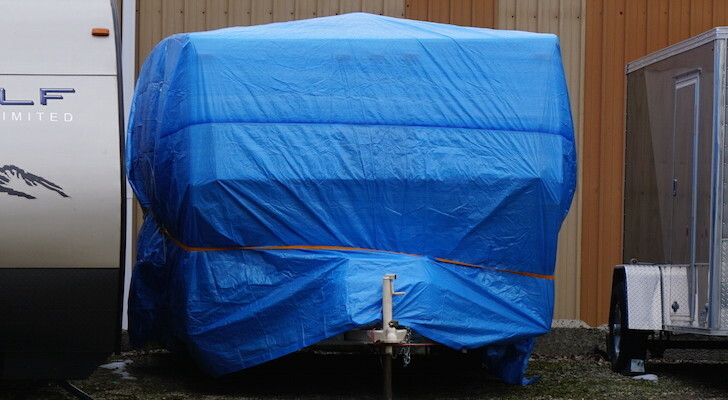 A great recomendation came in from one of our readers regarding Camping and RV Checklists. In particular he was surprised that a google search did not yield him an excel spreadsheet version that he could update and make his own. So we decided we would put a collection of the best RV checklists available today and give people a one stop directory of great RV checklists, including that illusive EXCEL version. People may want more than the typical paper checklist and thats what this post is all about. 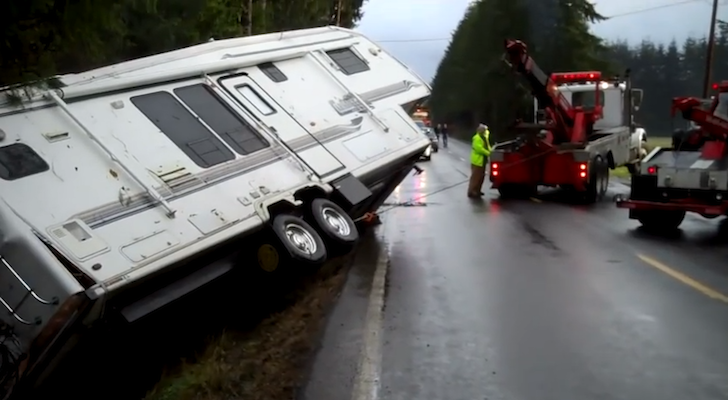 Bringing technology to the RV Checklist. Great thing about excel versions is you can edit them to your liking. Remove, add, send to friends etc. Its the preferred method of checklist for the Internet/Smartphone generation. I was able to locate two great options below. 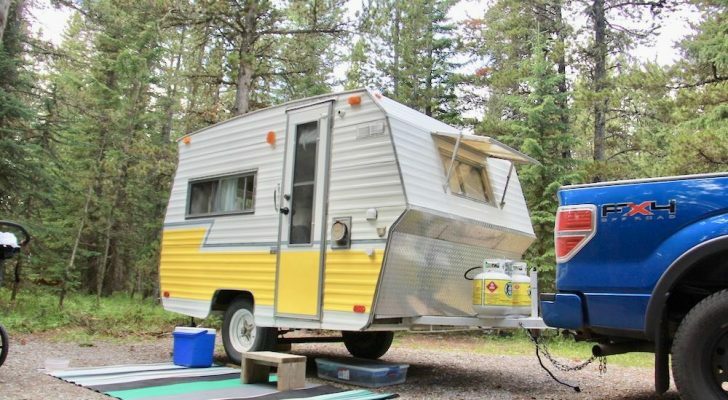 Camping / RV Checklist – This link will take you to Box.net for the download. 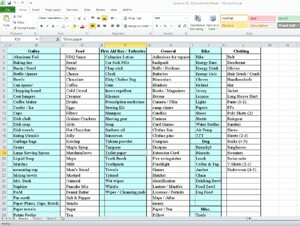 This is the more thorough of the 2 excel spreadsheet options. 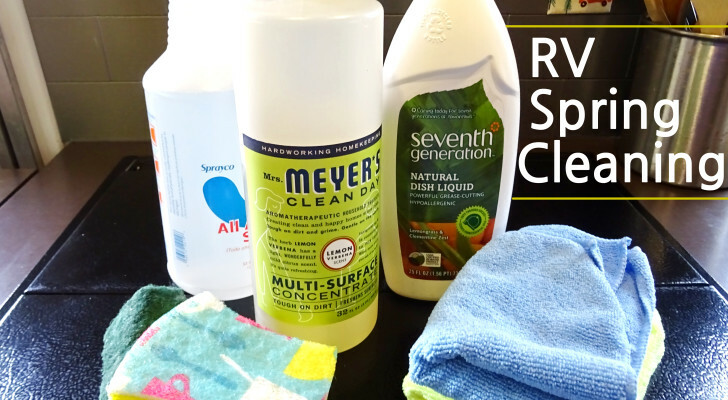 It rivals any on this list as it probably covers everything you need plus a few extras. If for some reason something is missing just update it! Home Owners and Trades Resource Center RV Checklist – This is a direct download link. Clicking on it will immediately download the spreadsheet. This a very simple 1-2 page option that you can quickly customize to your liking. You can visit the HTRC website to get the RV checklist as well. ChangingGears.com – They offer an online and 5 page word document version (scroll to the bottom of the page to download or click here). CamperTrails RV Checklist – Easily one of the most thorough options on our list at 23 pages long. Iit may use all your printer ink but as a result you wont forget anything. 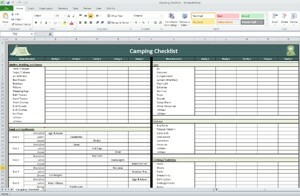 TheCampingJournal.com – They offer a nice concise 1 page checklist. Easily one of the shortest and to the point on our list. 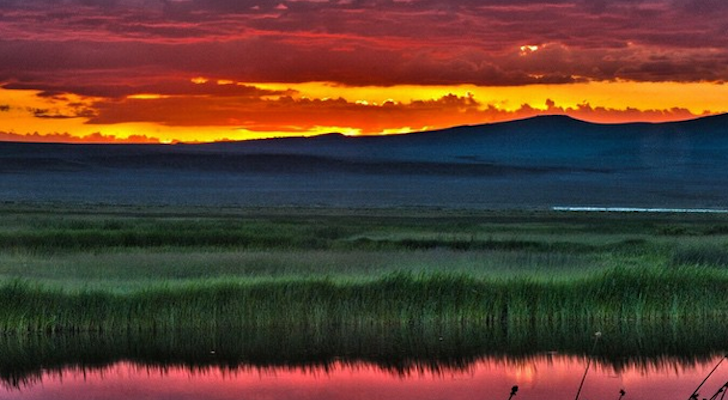 The also offer a Departure RV Checklist. 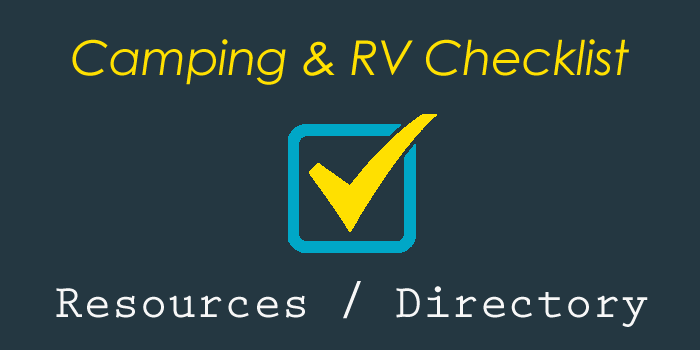 RVCampingChecklist.com – Interesting concept from these folks. You select all the items you want to bring on your trip and it will make a custom printable document customized to your liking. 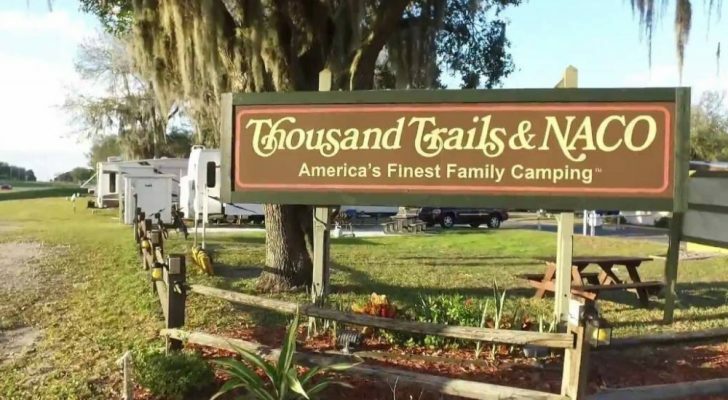 If you cant find your RV checklist here than you may have to accept the fact that you will never have everything you need with you. 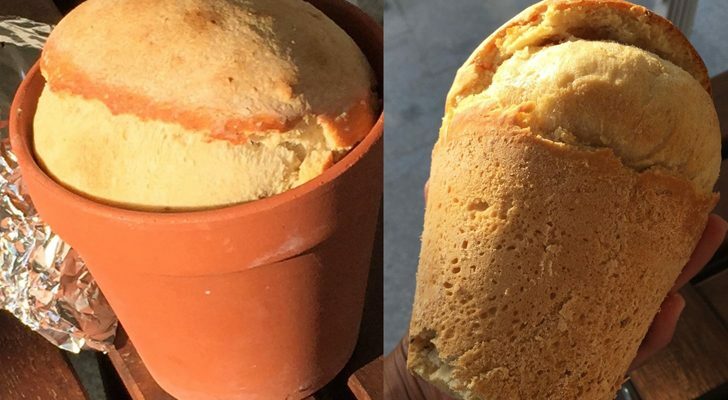 Or perhaps you may need to simply make your own that suits your needs. If there are other great RV checklists out there that we should include then please share it in the comments below.